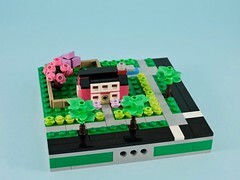 Like so many AFOLs, I grew up playing with Lego. I remember poring over catalogs, long before there was an internet, in hopes of seeing new sets. 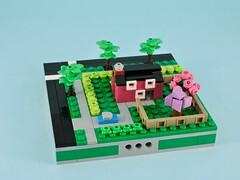 Sadly, my childhood Lego is most likely lost to me, given up in my teens and passed through my siblings. On a trip to visit my in-laws recently, my brother-in-law gave me his dirty box of childhood bricks. Oh, what treasures might await me. The first step was separation. The box had been stored in a dilapidated dome house in the woods. It was covered with sawdust and I suspected that I might find much worse inside. I started by going through the box brick-by-brick and sorting out the foreign objects and separating any Lego that I found. Right away I started finding random parts from a broken VCR and clone bricks. I put these all in a bag of their own. 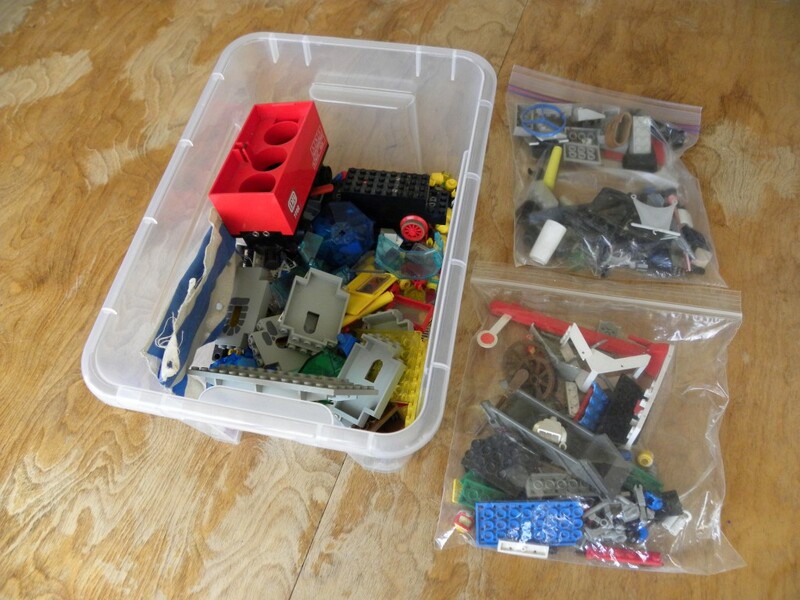 I started another bag for broken or bent Lego, so that I could evaluate them later and see what might be salvageable. After talking to some of the gang (PortLUG), I decided that I would wash the bulk of the brick in my dish washer, setting aside all the printed or translucent parts for hand washing. I stuffed a mesh bag (the kind they sell for washing delicates in the laundry) with Lego and placed it on the top rack, running the machine on an ‘air dry’ mode, using a single squirt of mild liquid hand soap instead of the usual abrasive dish detergent. These bricks were pretty dirty, so I ran each batch twice and then spread them out over a towel to dry overnight. 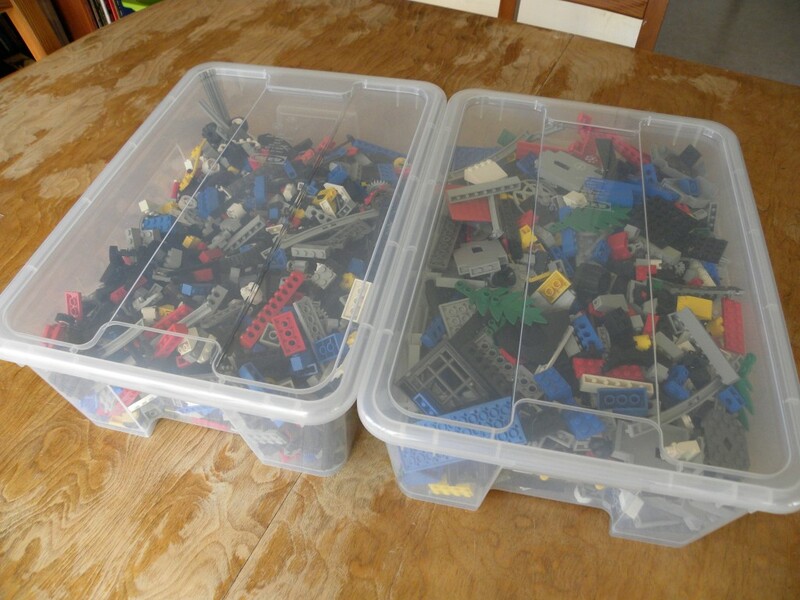 When I was done, I had two bins of bricks waiting to be sorted. Along with the nearly six gallons of bricks, I had a smaller tub of delicate bricks and a couple of bags of trash. 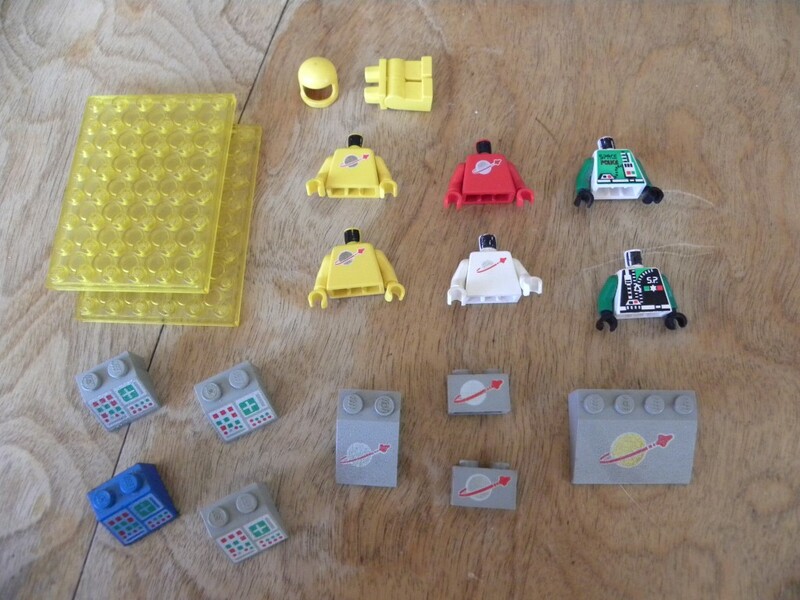 For me, the greatest find is the handful of classic space parts. I miss the legions of brightly colored space men that I had as a child, so even a couple faded torsos are a pleasant find. Space police came out during one of my dark ages, but I like the look of them. I’m still sorting and evaluating, but I’m super happy with the haul.